Study data did not demonstrate increased incidence or severity of new-onset irAEs in patients undergoing ICI therapy who received the seasonal flu vaccine. Rates of new-onset immune-related adverse events (irAEs) in patients newly treated with immunotherapy agents who also recently received the seasonal influenza vaccine were not significantly different from those of historical controls receiving a programmed cell death-1 (PD-1) inhibitor who were unselected for vaccination against influenza. These results were published in Clinical Infectious Diseases. Patients with cancer are at increased risk for influenza-related complications. Previous studies have shown that although patients receiving chemotherapy have an attenuated immune response to the influenza vaccine, the influenza-related immune response in those undergoing immune checkpoint inhibitor (ICI) therapy is similar to that observed in healthy persons. However, results from some recent studies have suggested that administering the influenza vaccine to patients also receiving an immune checkpoint inhibitor may result in expansion of T cell clones that recognize both vaccine and self, thereby causing a high rate of irAEs. All 370 patients included in this study were treated with a PD-1 inhibitor (nivolumab or pembrolizumab) or a cytotoxic T lymphocyte-associated protein 4 (CTLA4) inhibitor (ipilimumab) for advanced cancer — mostly lung cancer or melanoma — at the Memorial Sloan Cancer Center, in New York City. These patients received inactivated influenza vaccine within 65 days of any dose of immune checkpoint inhibitor therapy, either before after ICI administration. The study was conducted over 3 consecutive flu seasons (2014-2015, 2015-2016, and 2016-2017). A subgroup of 170 of these patients who were newly treated with a PD-1 inhibitor (and vaccinated against influenza within 65 days of therapy) was also evaluated separately and compared with results of historical controls from published clinical trials. In the full patient cohort, the rate of any grade new-onset irAEs, occurring after administration of both immune checkpoint inhibitor and influenza vaccine was 20%; 8% of patients experienced a grade 3-4 irAE. No grade 5 irAEs were observed. Similarly, results obtained for the subgroup of patients newly treated with a PD-1 inhibitor showed rates of all grade and grade 3-4 irAEs of 18% and 7.6%, respectively. The study authors noted that the rates and severity of irAEs reported for this subgroup were similar to those from published clinical trials involving patients unselected for influenza vaccination. Furthermore, in this subgroup, no significant differences were observed in the rates of new onset irAEs with respect to order of administration of influenza vaccine and immune checkpoint inhibitor. Additional subset analyses performed in the overall cohort did not show differences in rates of new onset irAEs according to gender, tumor type, therapy type, season, or dose of vaccine. Study limitations include the absence of data regarding influenza vaccination in the community, thereby negating the possibility of examining a cohort of patients undergoing ICI therapy who did not also receive the influenza vaccine. In addition, the possibility for selection bias exists in that patients who did not develop early irAEs on immune checkpoint inhibitor therapy, as well as healthier patients, may have been more likely to receive influenza vaccine. These data did not demonstrate increased incidence or severity of new-onset irAEs in patients undergoing ICI therapy who received the seasonal flu vaccine, nor were irAE rates higher than published reports in those newly treated with anti-PD-1 agents. 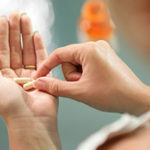 In addition, comparison with historical studies showed no apparent increase in incidence or severity of irAEs among patients receiving immune check inhibitors and the inactivated influenza vaccine within approximately 2 months of the other. 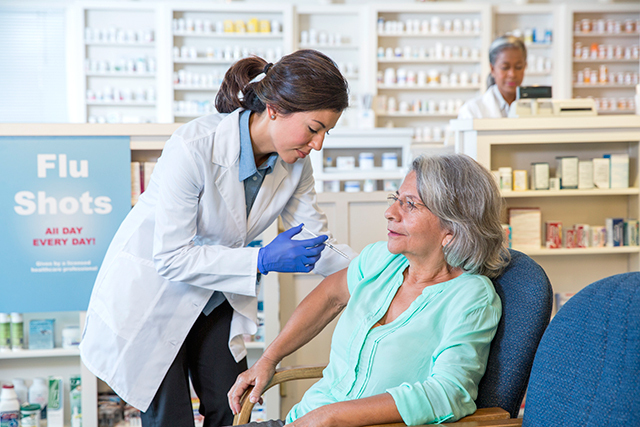 Based on these findings, the authors support the current recommendations of the Advisory Committee on Immunization Practices (ACIP) for annual seasonal influenza vaccination in patients on ICI therapy.